Tired of living with neck or lower back pain? Meditrac's spinal decompression devices work in 3-dimensions simultaneously so our clients experience rapid pain relief. This form of therapy more often than not, negates the need for surgery, even for slipped or protruding discs! 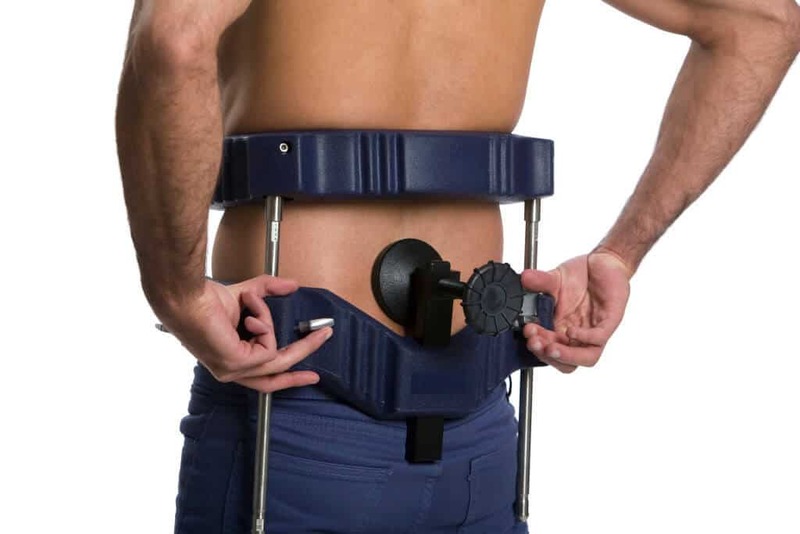 The Vertetrac 3D ambulatory spinal decompression device rapidly treats lower back pain, including sports injuries, sciatica, herniated (slipped) discs and, if used with the DBS Rail attachment, scoliosis. The reduction in pain can be significant even after a single treatment of 20-30 minutes. 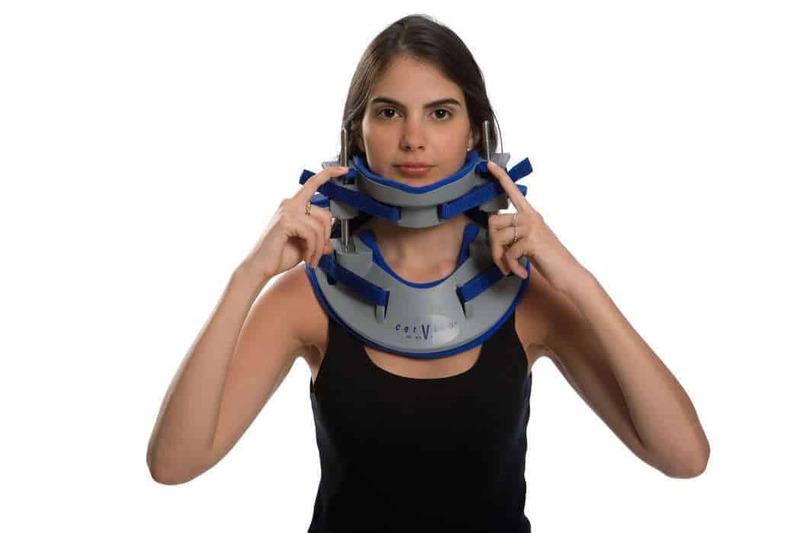 Cervico 2000 is an ambulatory 3D spinal decompression device for the rapid treatment of acute and chronic neck pain, including wry neck (torticollis), whiplash, sports or occupational injuries. The brace is used for a single session of 15 minutes a day and not worn continuously. Scoliosis is a lateral curvature of the spine and is considered to be the most common spinal deformity. The Dynamic Brace System (DBS) Scoliosis Rail, attached to the Vertetrac spinal decompression device, treats prepubescent children to correct the curvature, without requiring surgery (depending on the degree of curvature and overall condition of the child). Invented, created and developed by orthopaedic surgeons! Meditrac’s spinal decompression devices were invented, created and developed following many decades of detailed research by orthopaedic surgeon Dr Stabholz, who firmly believed in spinal decompression whilst the patient is ambulatory. It was further developed by a second orthopaedic surgeon, Dr Grober. 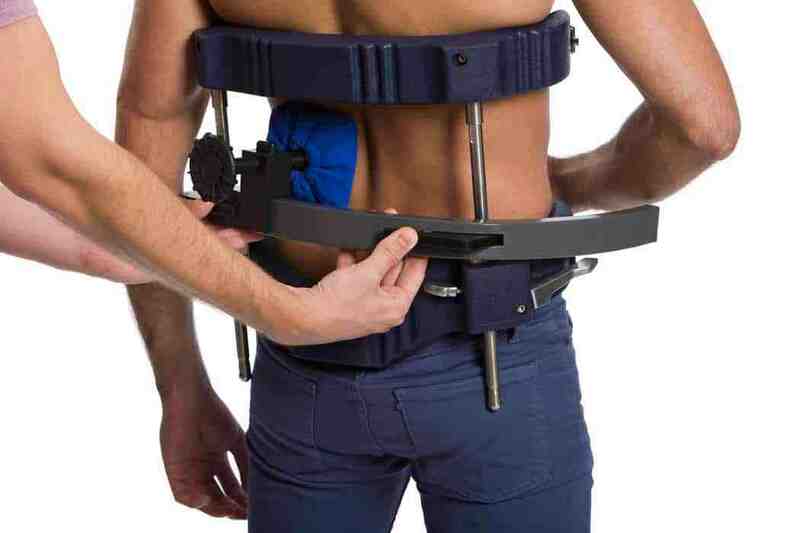 Meditrac devices help to avoid back & neck surgery! Meditrac’s spinal decompression devices are robust, compact and designed to enable spinal decompression whilst on the move, hence affording a speedy recovery from the root cause and related pain. The devices rapidly treat neck and back pain because the patient is ambulatory during treatment following accidents, work or sports injuries. The Vertetrac, Cervico 2000 and Dynamic Brace System (DBS) Scoliosis Rail often negate the need for surgery, hence saving cost and a rapid return to work or sport. These devices have truly been amazing for the patients with outstanding clinical outcomes. I think I purchased them both around 15 years ago. As a result, we have likely avoided hundreds of spinal surgeries. Tried this at a chiropractor in CT while I was in college. Completely alleviated my sciatica pain and am looking to continue home use for maintenance. I use Vertetrac and Cervico 2000 devices since May 2010 and I want to express my congratulations and thanks to Meditrac for these amazing effective treatment options. I use it every day at least for 15 patients daily and results are really good. I had many patients that I saved them from surgery. At the beginning of treatment the most important is that patients believe and to understand what kind of treatment is it. When I first arrived to Dr. Grober’s clinic two weeks after hospitalization, I was unable to walk straight and needed help to support my body weight. The pain was almost unbearable. At the beginning of the treatment I was only capable of making several steps with Dr. Grober’s device; however,after several weeks I was able to walk with no support, move around and fully take care of myself. Today, a year after the hospitalization, my back is in much better condition and I am working, walking for long distances, and able to perform any everyday task. Needless to say, I’m very happy to avoid surgery and feel very grateful to Dr. Grober. I recently injured my neck and was in excruciating pain. The pain was so great that I had an MRI and met with an orthopedic surgeon. I delayed the surgery in the hope that it would not be necessary. I went to a Chiropractor who treated me and lent me the Cervico 2000. The device is nothing short of remarkable. I have been using it twice daily and have been extremely satisfied with the product. The Cervico 2000 literally obviated the need major surgery. I have tried other products with no success and highly recommend this device. One of my better cases was a 54 year old female with disc bulges at L3 4 5 on the left side she had severe pain, left sided foot drop, weakness and atrophy of the left quad, at first she could not tolerate the Meditrac for more than a few minutes but after a few days the only complete relief she had was when she was wearing the Meditrac, she had been scheduled for surgery but within three weeks her pain had reduced by 80% she was able to cancel the surgery and within another month was totally pain free and remains so to this day, this was one of many successes I have had over the years with the Meditrac and this case happened in the 1996, every now and then I still see this patient but never for the same type of symptoms as described above.